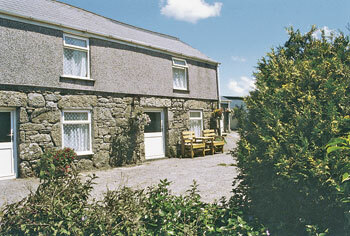 Just a few minutes' drive from Gwithian's golden sands (6 miles), this converted cottage is set on a working farm. Enjoy walking on nearby coastal path or a scenic train ride from Lelant into the centre of St Ives, with its cobbled streets, restaurants, craft sudios and Tate gallery. Several National Trust properties lie within an easy drive, including St Michael's Mount and the sub tropical gardens on the Helford River, and a tin miner's underground life can be experienced at Poldark mine. Falmouth's new Maritime Museum is 15 miles, Helston and Flambards Theme Park are 5 miles. Shops and pub serving food 1½ miles. One bedroom. 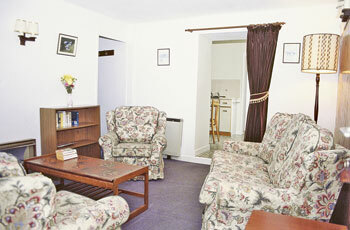 Small comfortable beamed sitting room with electric fire. Kitchen with dining area. Open tread staircase to first floor: Double bedroom. Shower room/W.C.